Shades of purple are in perfect harmony with the striking white in this profoundly pretty arrangement. First Blush is a lovely mix of classic and modern, ribbons and roses, it’s sure to make someone’s day! 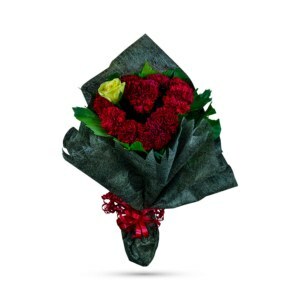 This exotic gift is a poignant way to celebrate tender moments and a love that endures. White fresh roses and chrysanthemums, and greens are hand-delivered in a curled purple wrapping paper that’s all wrapped up with a vibrant white taffeta ribbon. 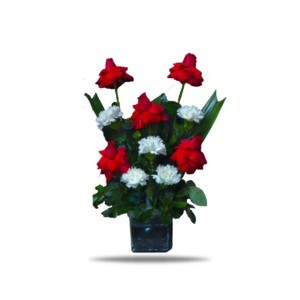 For warm and lovable thoughts sweetly expressed, this arrangement does the trick. 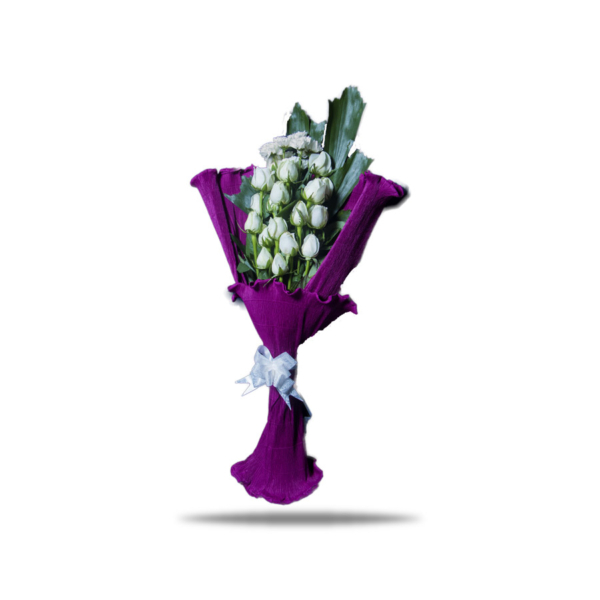 This bouquet is perfect for anyone who’s passionate about white and purple. 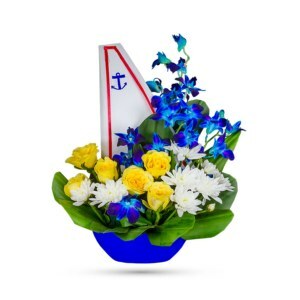 A pretty mix of fresh and beautiful flowers full of majestic beauty and delivered with a message. Perfect for birthdays, anniversaries, extend warm wishes – or any day you want to make her feel extra special. 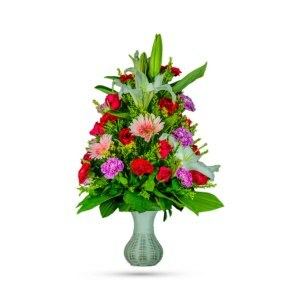 Order online and make someone special feel like a princess today!